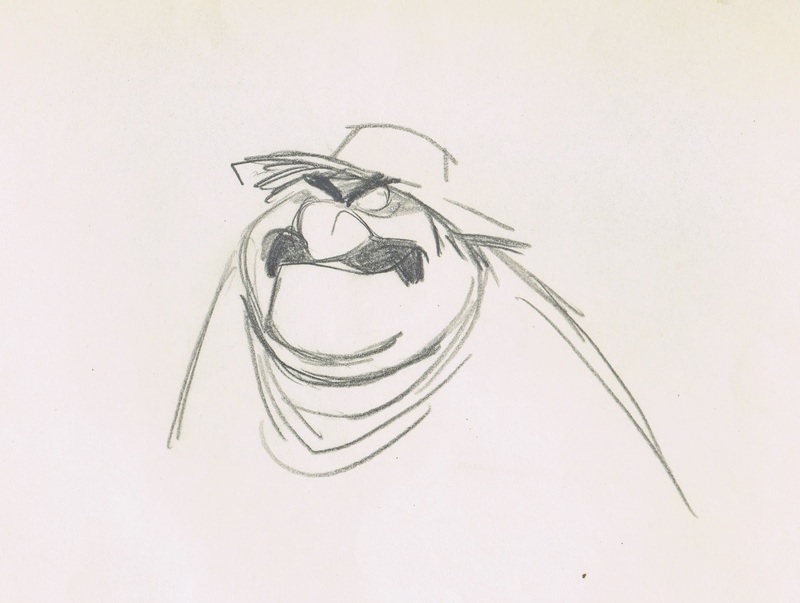 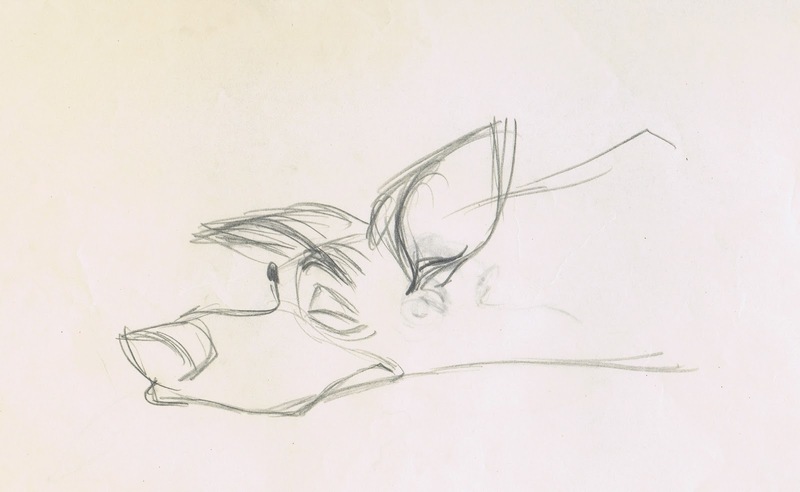 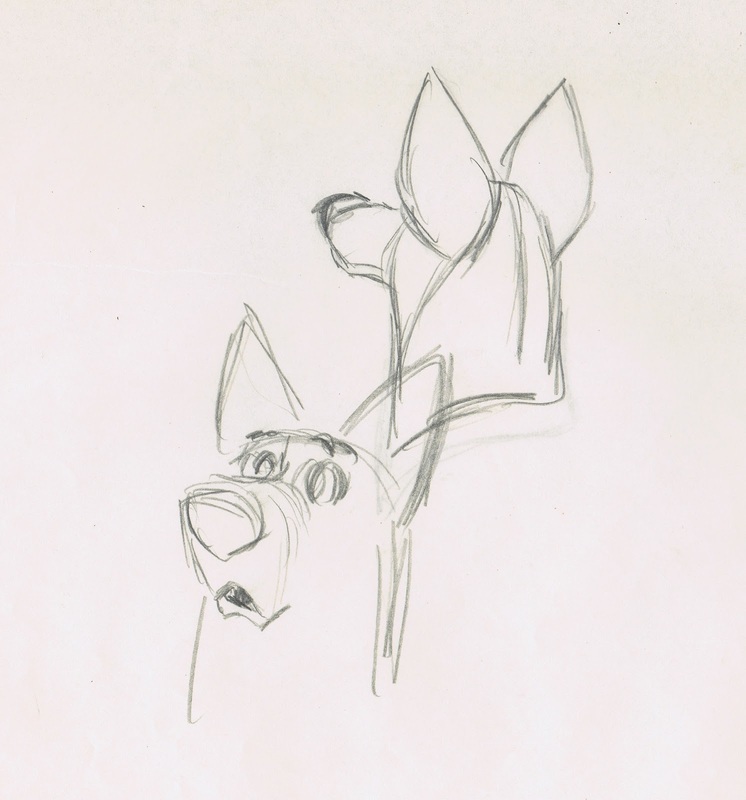 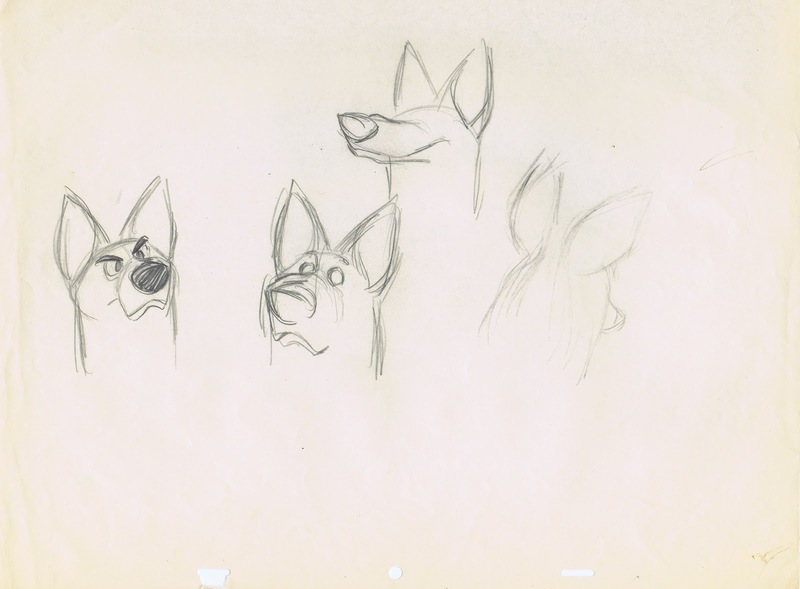 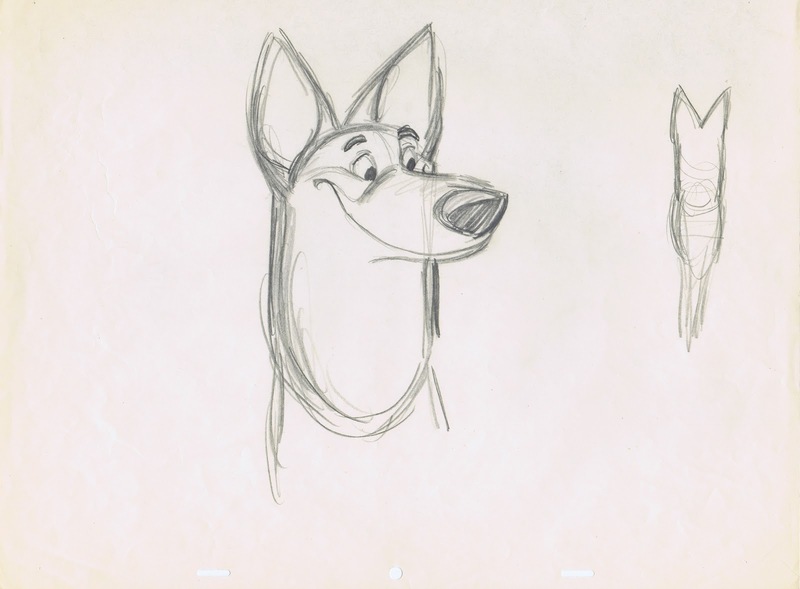 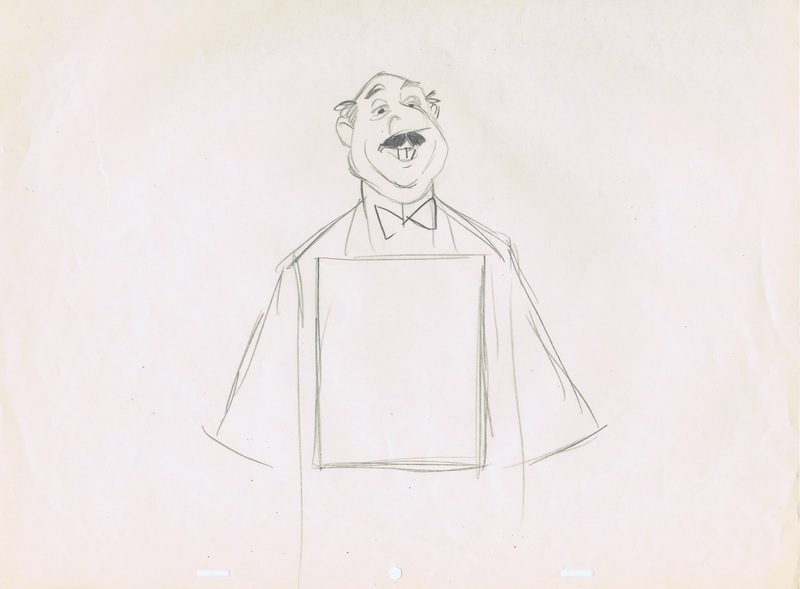 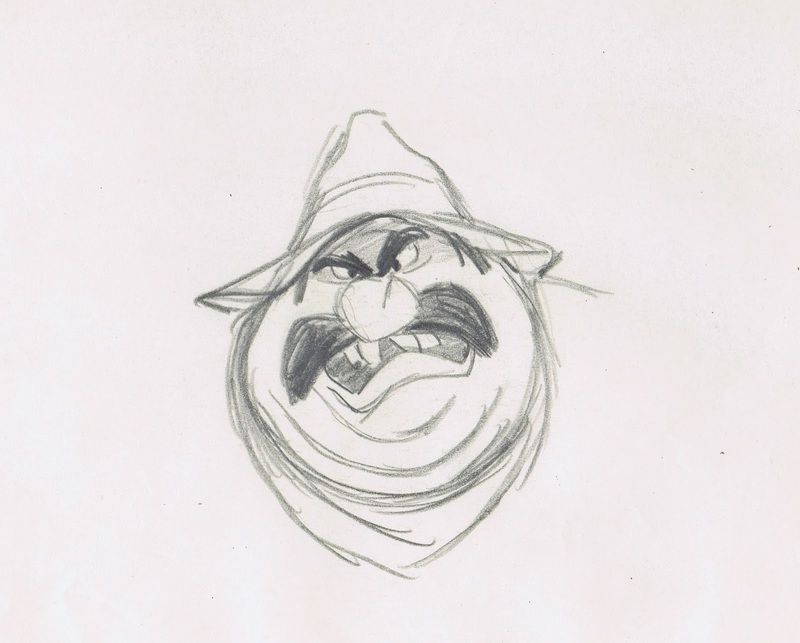 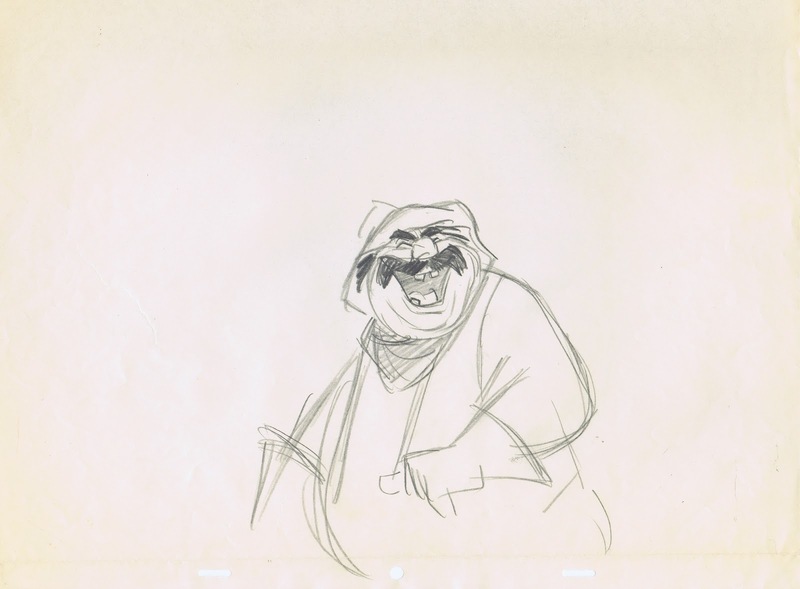 I found these two rough model sheets by Tom Oreb online, and they present a nice comparison to Milt Kahl's final character designs. 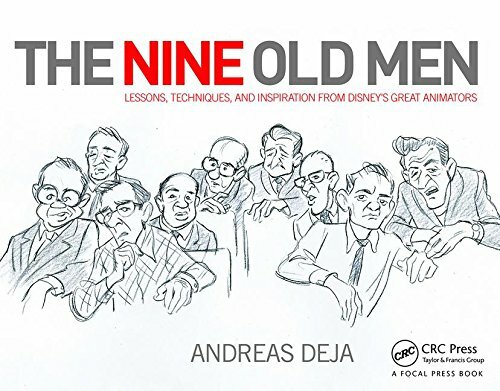 Oreb begins with ideas for very graphic representations of character types. 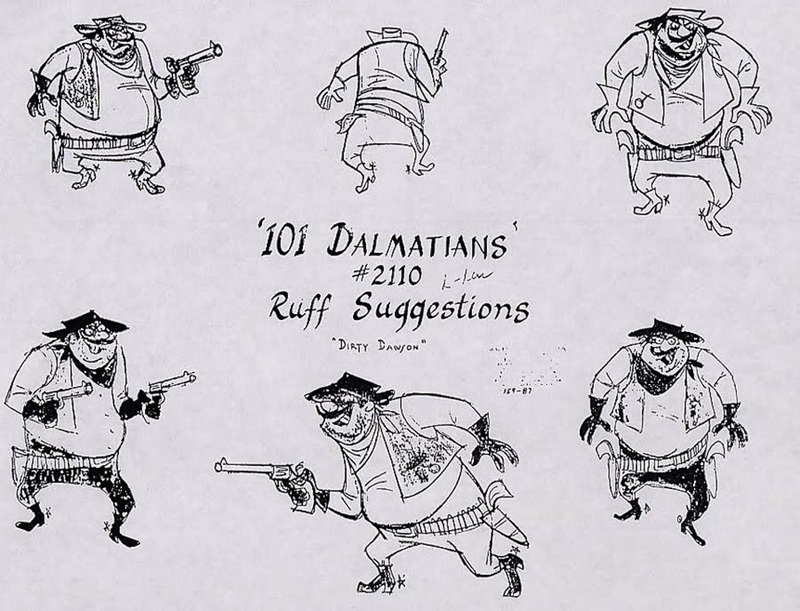 Milt maintains the modern graphic quality and adds form and dimension. 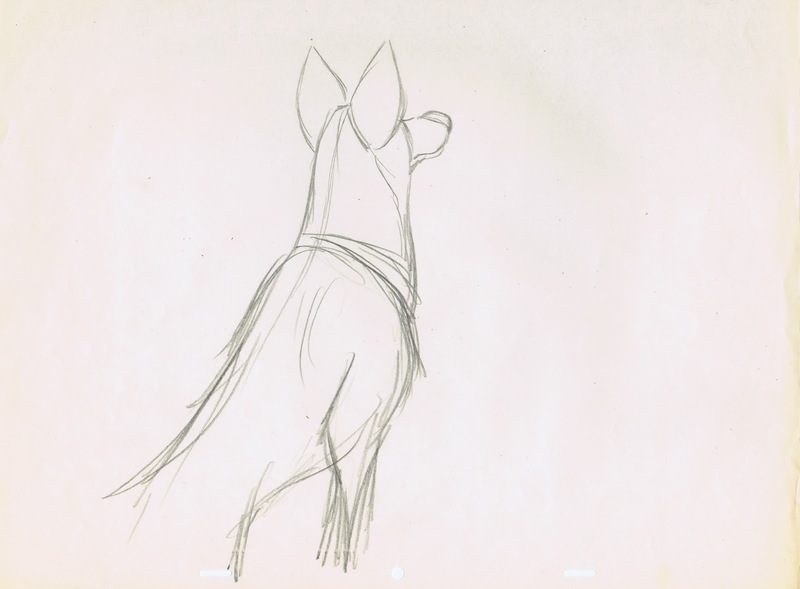 The end result works beautifully for full animation, and the animators can now turn and draw the design from any angle. 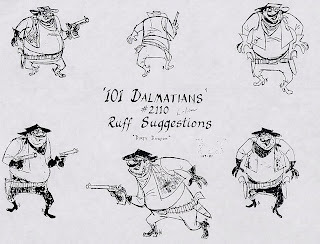 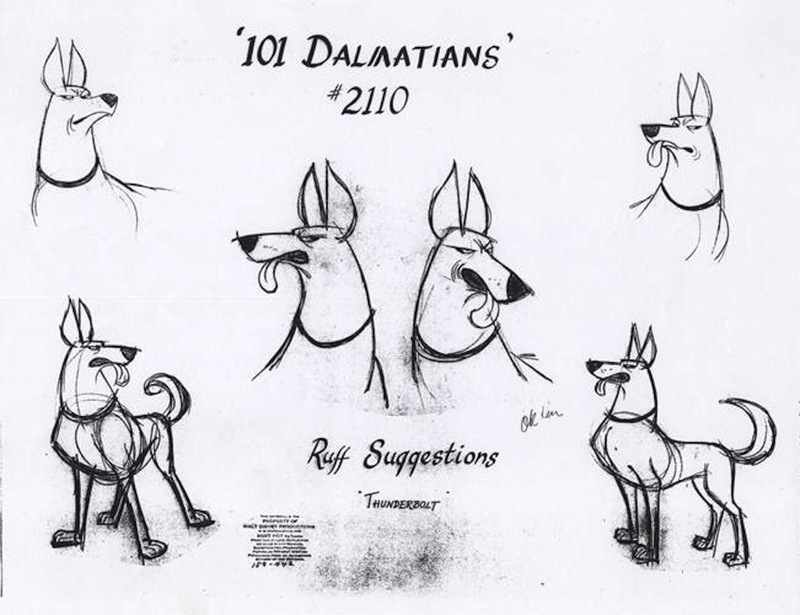 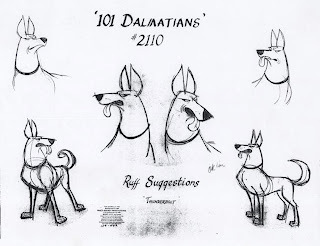 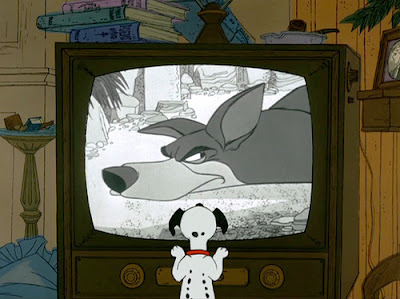 I believe that Milt contributed final models for just about all of the characters in 101 Dalmatians, except for Cruella. 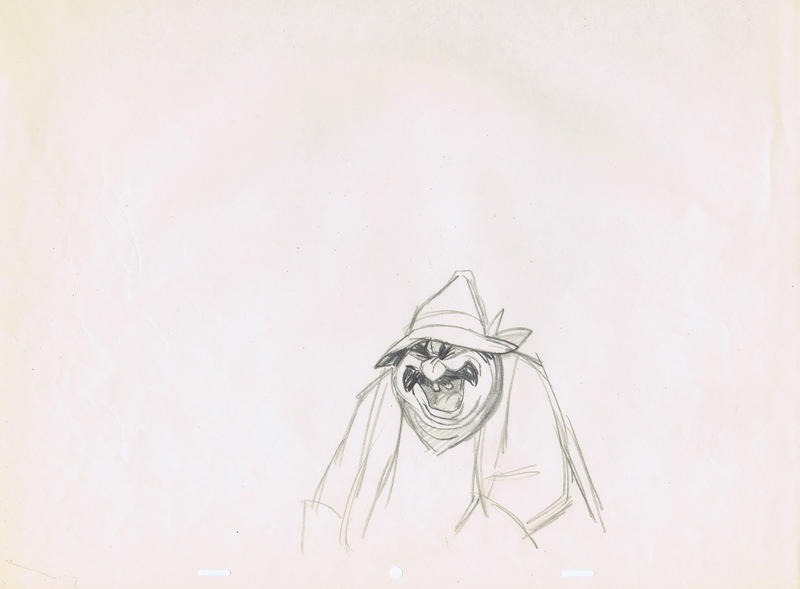 She was in the very capable hands of Marc Davis, no refinement necessary there by another artist . 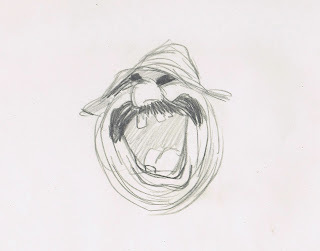 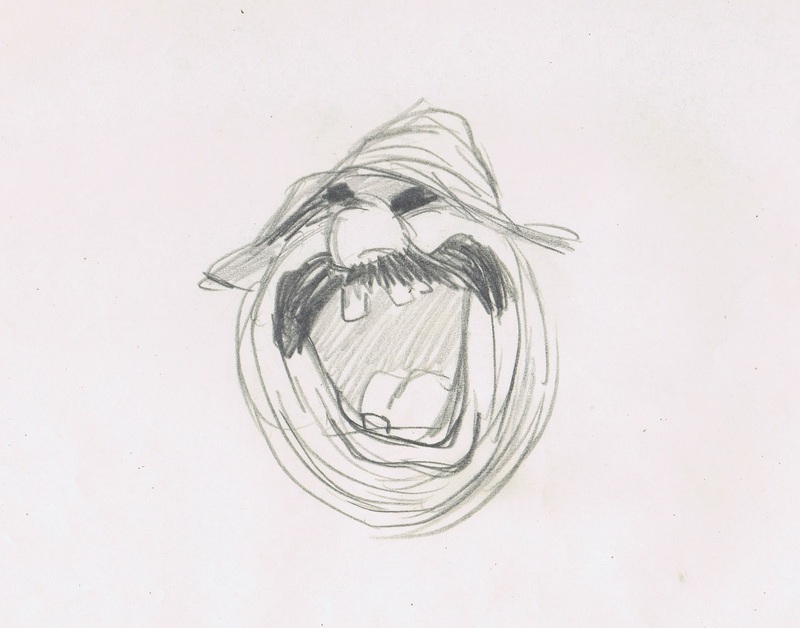 Just love this sketch, a big hole for a mouth with a bunch of lines around it. 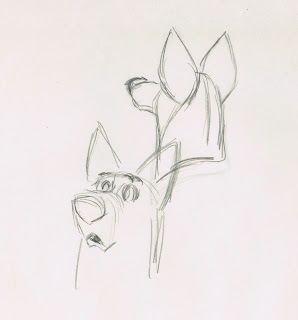 A drawing of the Kanine Krunchies guy, who reacts so memorably, when Pongo turns off the TV.